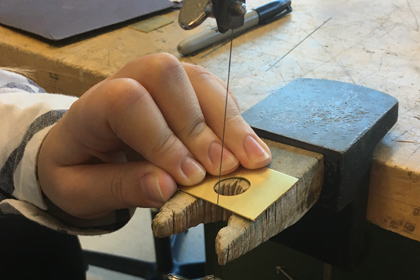 As jewelers, we often learn how to solder tiny things very well, but may struggle to apply that knowledge to soldering larger pieces. 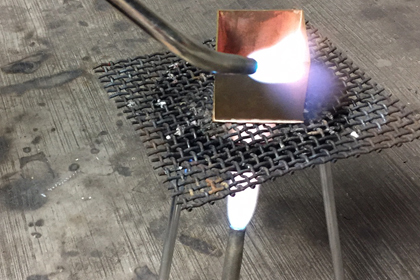 Read these tricks from Joy Raksin about soldering large objects to expand your fabricating potential! Piercing started off as my least favorite skill when I first started learning metalsmithing!! I think I broke 25 sawblades in that first class, I just couldn't get the hang of it! With more and more practice, I started to really love sawing, and the meditation of the act. There is also so much that piercing can lend to you work! Create dynamic silhouettes, a more interesting bezel shape, even pierced out ring bands! Here are some of my favorite tips to become friends with your sawframe! When soldering, taking the time to set up your work in the most efficient and stable way can save you time, energy, and many headaches in the long-run. 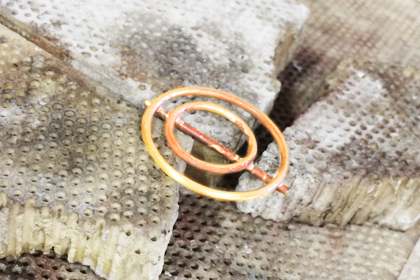 Donna D'Aquino shares some of her tricks for perfect set-ups to make any soldering job a snap!